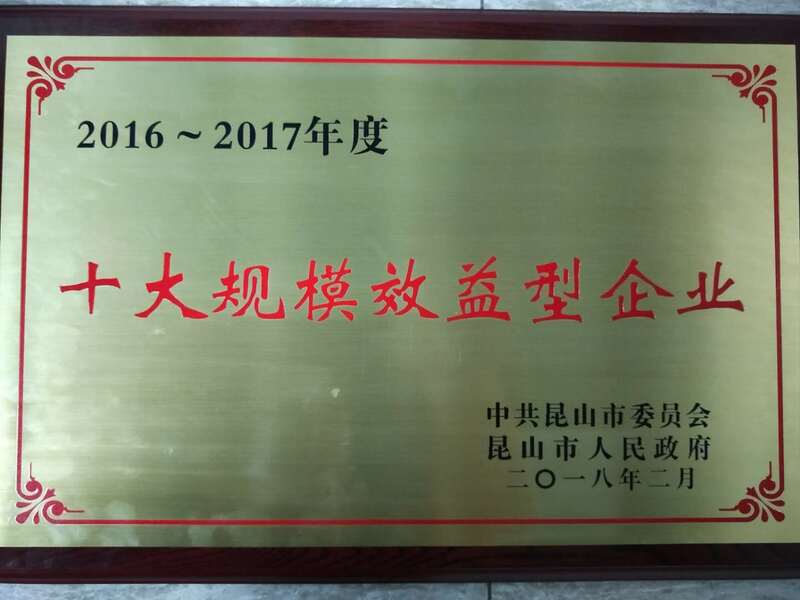 (1 March 2018) Q Technology (Group) Company Limited (“Q Technology” or the “Company”) is pleased to announce that the Company’s subsidiary, Kunshan Q Technology Limited (“Kunshan QT China”), received an award of “2016-2017 Top ten enterprises to achieve economies of scale” from the Kunshan Government, together with a bonus of one million RMB. It’s the first time of the Company to receive such a recognition. The Executive Director and Chief Executive Officer of Q Technology, Mr. Wang Jianqiang, accepted the award on behalf of the Company. Going forward, the Group will stick to the mission of equipping machine with a better vision than human’s eyes. Through the building up of three capabilities: optical, computational and deep learning algorithm and system integrating capability, the Group will focus on producing various high-end camera modules and fingerprint recognition modules. The Group will also deploy resource in miniaturization of camera module and 3D sensing module, continue to build an innovative enterprise with economies of scale.